This requires both server and client to have the mod (since it adds the book items with recipes and such). As long as both client and server have the mod installed, it does work in SMP, yes. 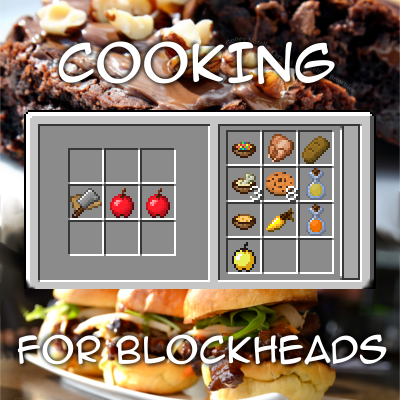 this may be a bit too unbalanced, but considering the numerous recipes involving harvestcraft... would it be possible to also actually craft the food and drinks through the book? it'd work like EasyCrafting, when you can open the recipe book and it'll show you all the food and drinks you can craft with the items currently in your inventory, and you can click the food or drink that you want in the book and it'll automatically craft it for you. it'd however require you to have all the cooking tools in your inventory when you try to craft the food or drinks. I considered that too and will probably add an optional second tier of the book that can do the crafting right away itself.